Whether it is outdoor pool, spa, kitchen, California room, patio, or hardscape, our team will transform your ideas and visions into an award-winning backyard project. We are proud to be the best rated local pool builder! We will design and build an outdoor pool, kitchen, patio, and hardscape of your dreams. Let us transform your outdoor pool or patio idea into the reality. Your complete satisfaction is our number one priority! Let us design and build your dream outdoor pool and spa. Take a moment to explore our pool construction projects to see the exquisite sculptured stone and unique features including the new pebble and glass pool finishes. California Rooms are the latest and hottest design trends in California homes. Inspired by sunshine, the great outdoors, and rooms with a view, California Room is the perfect indoor/outdoor space for relaxing, entertaining and enjoying the SoCal lifestyle, year ‘round. Take your backyard to the next level. If you can dream it, we can build it! The artistic and creative abilities of Tony Doumani combined with his technical expertise will help you design and build the best looking and most beautiful patio and landscape in your neighborhood. We think of hardscape design and installation as that extra mile that can make a landscape look and feel impressive. Hardscapes involve artful combination of rock, brick, masonry, stone, pavers, or other durable materials. Get an award-winning “style” to your outdoor living! 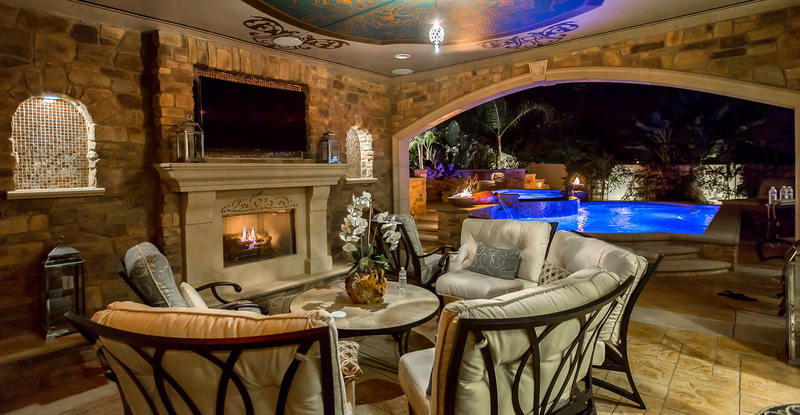 Sunset Outdoor Creations, also known as Tony Doumani Creations, has been transforming the most creative pool, patio, outdoor kitchen, hardscape, and outdoor living ideas and visions into award-winning projects that make local families extremely happy and excited. We will make your dreams come true and design your pool or any outdoor idea in a way that will put a big smile on your face for years to come. At Sunset Outdoor Creations, your complete satisfaction is our number one priority. We will design and build your outdoor pool, kitchen, patio, and landscape of your dreams. Take a moment to explore our pool constructions projects and photo albums to see the exquisite sculptured stone and unique features including the new pebble and glass pool finishes. Whether you want infinity, free form, or geometric pool, we will design it with respect to your vision, needs, and budget. With over 20 years of combined experience building and designing outdoor living spaces, Sunset Outdoor Creations is a dependable and reliable resource for your pool design, pool and spas creations, backyard patios creations, and all landscaping needs. 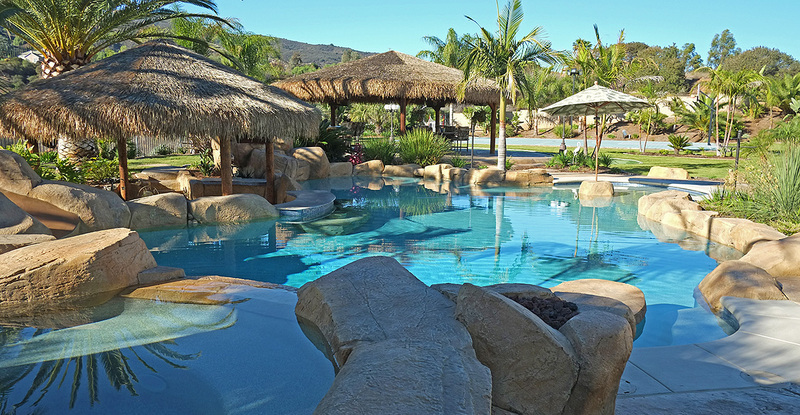 We are the most reliable, recognized, and creative swimming pool contractor in both the Inland Empire and Orange County.